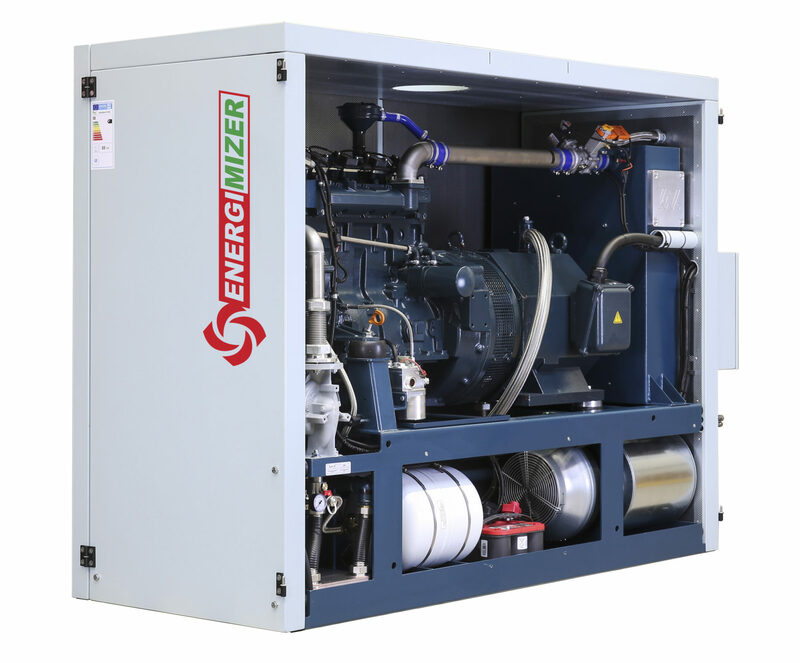 The Energimizer EM75SNG Combined Heat & Power unit generates 75kW(e) alongside the production of 125.2kW(th) energy taken from the internal heat exchangers enabling excellent operating efficiencies and low NOx emissions within this compact sized cogenerating CHP canopy. Fuelled by Natural Gas with LPG models being available. Multiple CHP units can be cascaded together in a “master & slave” format for larger output demands as the thermal modulation facility will monitor the return water temperature and adjust according to demand to ensure optimum fuel efficiency and maximise operating run time. This EM75SNG CHP unit can operate in an “Island Mode” in the event of mains grid power failure. This facility enables the continued running of emergency services such as lights and low power escape equipment. The quiet operating sound power levels and long running hours between service intervals (1500 hours) make this a highly efficient CHP. 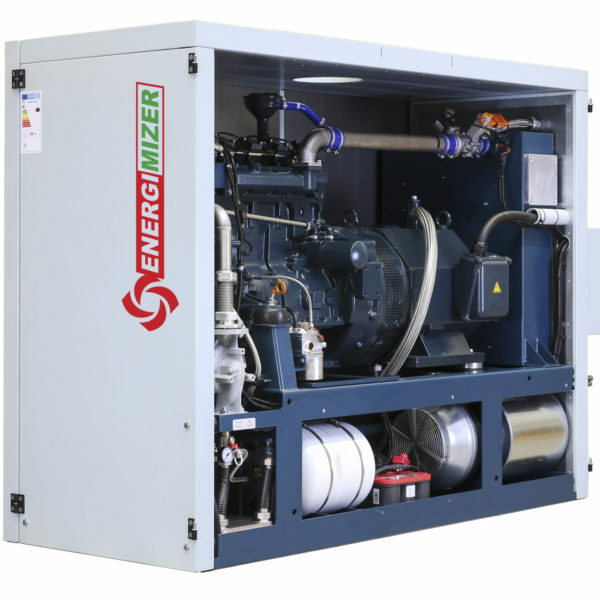 Energimizer is an ErP A++ rated CHP manufactured in Germany by KW Energie and distributed and commissioned in the UK by Helec Limited & Hevac who also provide a comprehensive service and maintenance support package.